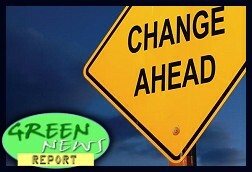 " 'Green News Report' - November 29, 2018	"
It is still possible to keep global warming below 2°C, but the technical feasibility of bridging the 1.5°C gap is dwindling. Global CO2 emissions increased in 2017, after a three-year period of stabilization. If the emissions gap is not closed by 2030, it is extremely unlikely that the 2°C temperature goal can still be reached. Rapid emissions turnaround needed to keep global warming at less than 2C, report suggests. Joyce Msuya, deputy executive director of UN Environment, said: “The science is clear: for all the ambitious climate action we’ve seen, governments need to move faster and with greater urgency. We’re feeding this fire, while the means to extinguish it are within reach.” Global emissions have reached what the UN has called “historic levels” of 53.5 gigatonnes of carbon dioxide equivalent, and are showing no signs of peaking, despite a levelling off in the past decade. Central Queensland is facing a "catastrophic" fire risk as several blazes threaten properties around Deepwater and the area from Ambrose to Mount Larcom, north-west of Gladstone, where fire emergencies have been declared. New research from Climate Central and Zillow shows the area could see significant coastal flooding by 2020. By 2050, extreme projections of sea level rise have low-lying buildings under water. "One of the reasons Amazon got so big was long-term thinking, but building in the lowest spot in Queens is not long-term thinking," said Benjamin Strauss, CEO and chief scientist at Climate Central. "This is clearly building square in the danger zone for frequent flooding." GM officials say a major reason to trim its factories and workforce now is to prepare for a future with more electric vehicles...It’s impossible to know how seriously to take this explanation, to tell whether GM is really making a long-term bet on hybrids and plug-ins, or simply shedding production lines that are less profitable, for the moment, in order to make money for today’s executives and shareholders. But it would certainly be in society’s interest for GM to be thinking about the future in the way that it claims. « PREVIOUS STORY "'Call of the Corporate Wild': Pelosi's Leadership Battle and Democrats' Progressive Challenges: 'BradCast' 11/28/2018"
"'Green News Report' - November 29, 2018"
There is science still to be done (In Search Of Ocean Heat).